Thanks to Dr. Mohammed Sami Saeed, University of Mosul (Iraq), for contributing this case. To contribute a Case of the Week, follow the guidelines on our Case of the Week page. This 24-hour review and update is intended to improve knowledge about the pathogenesis and clinical manifestations of infectious diseases, immunological mechanisms of disease and disease prevention, appropriate approaches to the diagnosis of infections and immunologic disorders, and utilization of the clinical microbiology and immunology laboratory including selection and interpretation of results. (1) We have posted two new articles on our Management Page, D�j� vu all Over Again, by Mick Raich, Vachette Pathology, click here and Stories That Will Curl Your Hair� Or Close To It!, by Michelle Miller, Vachette Pathology, click here. 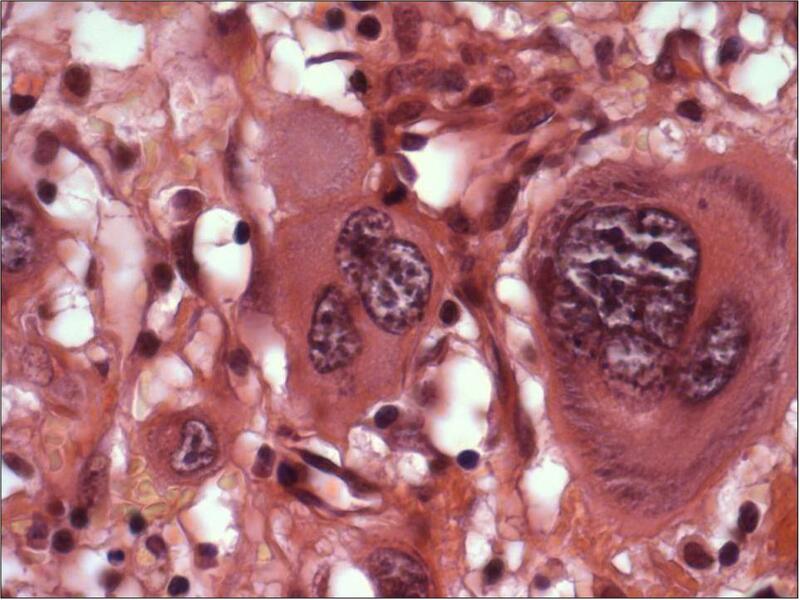 (2) Per the suggestion of Dr. Thomas Dudley, we are now soliciting your "best practices" related to pathology. We will post them on a new Best Practices page, organized in a logical way, with a link from our website. We anticipate that this feature will be widely read. 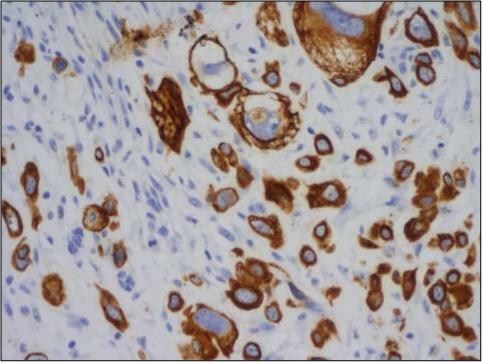 Email your pathology best practices to NatPernick@hotmail.com. 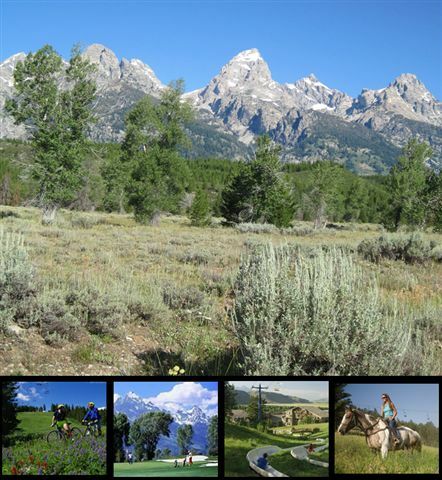 (3) Our jobs page now lists jobs by specialty, beginning March 1, 2011. The specialty "tags" are based on the content of the ad - please be aware that most jobs only describe the position in general - you may need cytopathology experience even if not indicated in the ad. The links are after "other countries" near the top of the page. A 2 month old girl presented with an ulcerated chest wall nodule. Two weeks later, she developed a neck nodule. The chest wall nodule measured 1.3 x 1.0 cm, and had a hemorrhagic cut surface. 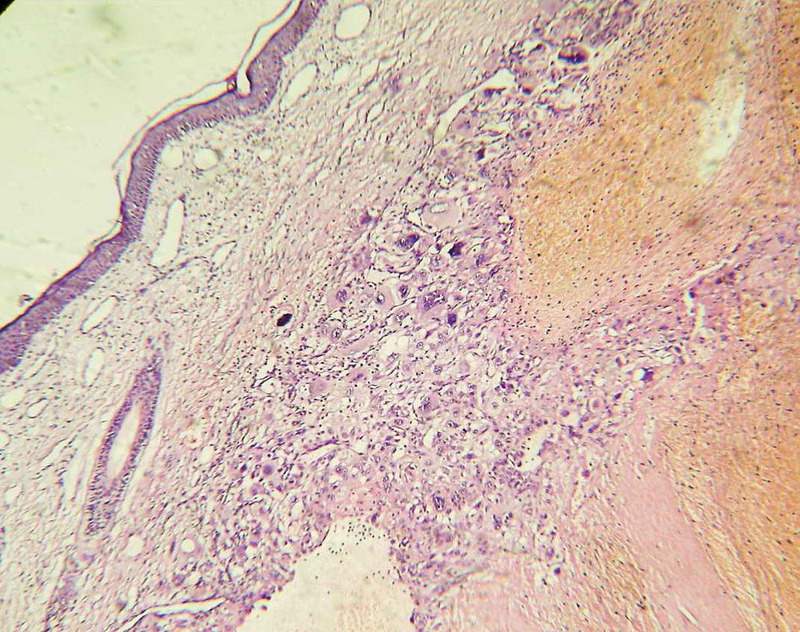 Microscopic sections show a cellular tumor composed of large cells with clear or eosinophilic cytoplasm and bizarre, hyperchromatic and multiple nuclei. These cells, representing syncytiotrophoblasts, are mixed with cytotrophoblast-type cells. 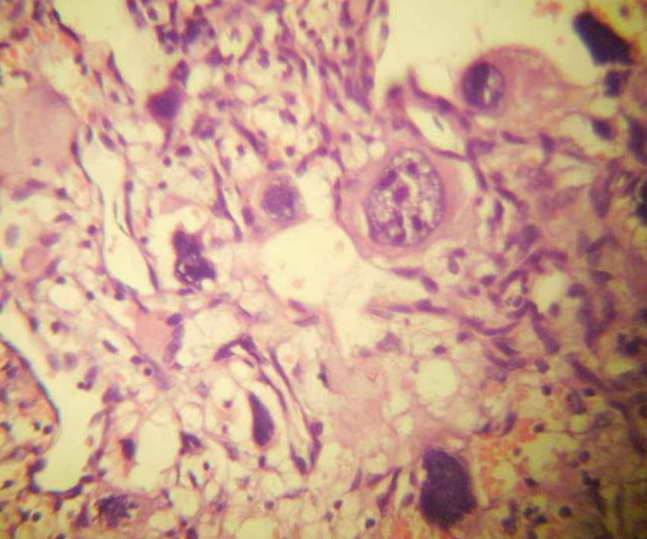 There are numerous mitotic figures, some atypical. Large foci of hemorrhage are identified. 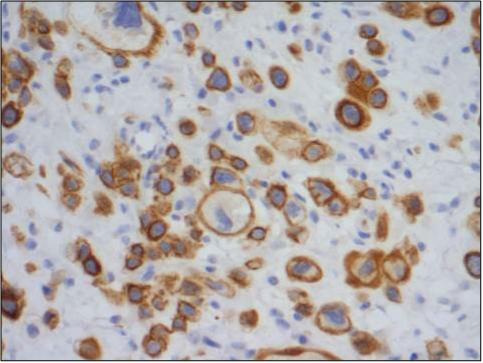 The bizarre tumor cells are immunoreactive for CAM5.2, pan-cytokeratin and hCG, and negative for desmin and myoglobin. Infantile choriocarcinoma is very rare, and is presumed to be due to placental choriocarcinoma (Arch Pediatr 2005;12:1721). The mothers usually have a normal pregnancy and no history of gestational trophoblastic disease (Pediatr Dev Pathol 1998;1:380). 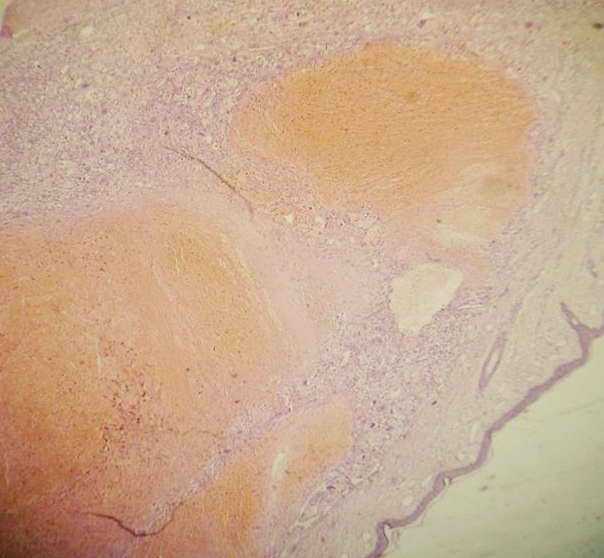 The placenta usually appears grossly normal, and the area of tumor resembles a placental infarct (Fetal Pediatr Pathol 2005;24:21, J Radiol 2008;89:517). Clinically, there usually are maternal metastases at diagnosis, but neonatal metastases of placental choriocarcinoma are rare (Gynecol Oncol 2006;103:1147). The clinical diagnosis is based on high maternal and pediatric serum or urinary levels of hCG or beta-hCG. 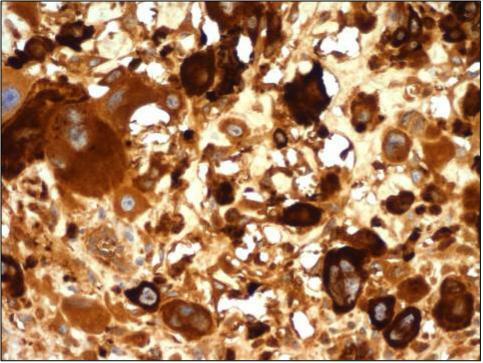 The histologic differential diagnosis includes anaplastic rhabdomyosarcoma (a variant of pleomorphic rhabdomyosarcoma, no placental findings, no cytotrophoblasts, positive for muscle markers, negative for hCG), or a metastatic testicular or ovarian germ cell tumor, which could be pure choriocarcinoma or have a choriocarcinomatous component. 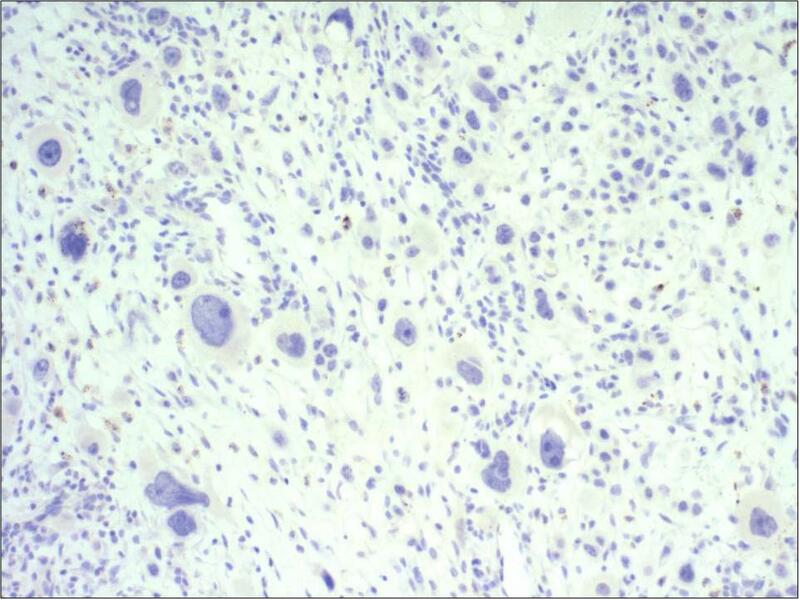 Although carcinomas may also have syncytiotrophoblastic components, they are unlikely in infants. 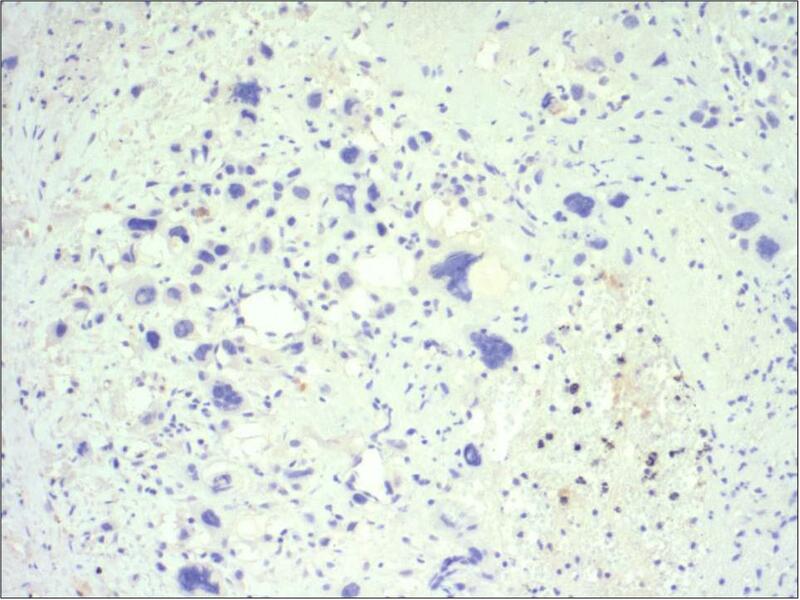 Without prompt treatment, infantile choriocarcinoma is highly fatal (Eur J Pediatr 2004;163:1). Treatment consists of aggressive chemotherapeutic regimens. Patients are often cured if the disease is treated early. In this case, the patient was severely ill, and no further studies were performed. Permission for an autopsy was denied. No information was available about the mother.